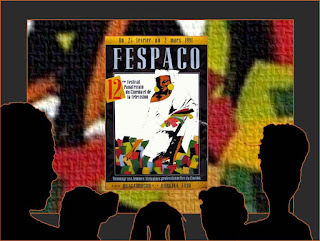 The birth of an organized movement of African women of the image may be traced to the 12th edition of FESPACO in 1991, the groundwork having been set during the women’s forum at Vues d’Afrique in Montreal in 1989. As an organizational body, what have African women in cinema accomplished since that historic moment? In tribute to African women film professionals, a meeting was organized under the title, "Women, Cinema, Television and Video in Africa". With Senegalese Annette M'Baye d'Erneville as chair, some fifty women from more than fifteen African countries assembled to accomplish several objectives: to offer a forum for the exchange and sharing of experiences; to highlight the concerns of women professionals; to propose strategies to ensure that women are equally represented, particularly in the areas of training and production; to formulate a structure for continued dialogue and plan of action; to discuss the importance of creating and disseminating images that reflect women's realities, social contexts, cultures, and histories. After much discussion and debate, African women film professionals put forth the ground rules for an infrastructure to publicize and promote their interests: to create a repository database listing of African women visual media producers and their films; to promote their work across a wide range of networks continentally and internationally; to establish an itinerant training workshop composed of a group of trainers who circulate throughout Africa; to train instructors in the various spheres of visual media production; to seek funding so that women may attend and participate regularly at film festivals. With an organizational body firmly in place, during the next two decades, local associations, regional bureaus and women-focused initiatives have sprouted throughout the continent and its diasporas. In 1991, a local bureau of the continental organization and the National Union of Women Film Professionals were created in Burkina Faso. The Zimbabwe-based Africa Women Filmmakers Trust (AWFT) was established in 1992. In 1993 and 1995 respectively, Kenyan and Gabonese affiliates of the Pan-African Union of Women in the Image Industry were formed. The Pan-African Union of Women in the Image Industry (AFAPTV) met at the Fifth Women’s Regional Conference in preparation for the Beijing Conference in November 1994 emphasizing the importance of presenting African perspectives at this international event and that women filmmakers on the continent should take the lead in the visualization of these perspectives. During the same year, Femmes d'images de l'Afrique francophone is published. Compiled by Tunisian Najwa Tlili, it was one of the direct results of the 1989 Vues d’Afrique meeting. The index brings together the biography and filmography of women in cinema from francophone Africa, as well as a listing of other relevant contacts. In 1995, l'Association des femmes africaines professionnelles du cinéma, de la télévision et de la vidéo/The Association of Professional African Women in Cinema, Television and Video reorganizes under the name, The Pan-African Union of Women in the Image Industry/l'Union panafricaine des femmes de l'image (UPAFI). The next year, Women Filmmakers of Zimbabwe is formed, the objectives of which are to train more women for the film industry, collect funding for the continuation of the work plan, the distribution and exhibition of films made by women, and the organization of production workshops. In 1996, the Senegalese-based Rencontres Cinématographiques de Dakar (RECIDAK) focuses on “Women and the Cinema” with a special tribute to Safi Faye. From this meeting comes the slogan “When women of the cinema take action, African cinema moves forward.” Women-focused events such as this will become a trend both within and outside of the continent. In 1997, the Paris-based cinema house Images d’Ailleurs, organizes a film forum entitled "Cri du coeur des femmes". The following year, the Festival international de film de femmes/International Women's Film Festival at Créteil presents an impressive platform devoted to women of Africa, with a gala for Safi Faye. During the same year, the Southern African Film Festival organizes the African Women Filmmakers’ Forum. The millennium ushers in a host of women-focused initiatives throughout the continent. Women of the Sun, is launched in 2000 and two years later the Zimbabwe-based International Images Film Festival for Women (IIFF) is founded by Tsitsi Dangarembga. The next year in 2003, Les Premières Rencontres Cinématographiques "Films Femmes Afrique" (Cinematic encounters: Films, Women, Africa) is held in Senegal. The African Women's Film Festival is established in Johannesburg in 2004 under the theme "film from a woman's perspective". Seipati Bulane-Hopa of South Africa is elected as secretary-general of FEPACI, Fédération Panafricaine des Cinéastes/the Pan-African Federation of Filmmakers during the 7th congress of FEPACI held in Pretoria, April 2006. During the next two years African women are on the agenda in European-based venues: 2007: Africa in Motion (AiM) Edinburgh African Film Festival focuses on women among the three themes; 2008: Ladyfest London showcases several African women filmmakers; 2008: Cinemas of the South at the Cannes Film Festival hosts a Pavillon des Femmes under the theme: l’Engagement des femmes cinéastes. African women among twenty-three women of the South present their films and discuss various topics regarding production, distribution and networking. During the same year, the theme of the 12th edition of Ecrans noirs du Cinéma africain, held in Yaoundé, Cameroon, has as its theme, Women, Cinema and the Audiovisuel. The second decade of the new millennium begins with a burst of activities highlighting the accomplishes of African women and promoting their work. The first edition of the Mois du cinéma féminin à Dakar (Women's Cinema Month in Dakar), was launched by l’Association sénégalaise des critiques de cinéma-ASCC (the Senegalese Association of Film Critics), to take place every Saturday during the month of March. To note, women-focused events during the month of March in honor of International Women's Day is a longstanding practice. The first Mis Me Binga International Women's Film Festival, based in Cameroon is launched as well as the Burkina-based Journées cinématographiques de la femme africaine de l'image (A film event focusing on African women of the image), both during the month of March. The 32nd Festival international de film de femmes/International Women's Film Festival at Créteil presents the program Trans-Europe-Afrique from 2-11 April. Later during the year in September, the Goethe Institut hosted the African Women Filmmakers Forum in South Africa, a gathering of twenty-five women film professionals of all levels of experience from sub-Saharan Africa, the USA and Germany, culminating with the Women of the Sun Film Festival. These African women-focused initiatives spanning the globe attests to the significant strides that have been made towards the promotion and appreciation of African women in cinema and their work.